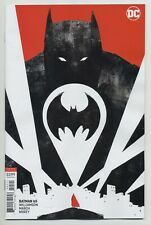 Batman (Vol 3) # 65 (DC Universe, 2019, VF / NM) Flat Rate Combined Shipping! (2019) BATMAN #64 65 FLASH #64 65 THE PRICE VARIANT COVER SET! HEROES IN CRISIS!